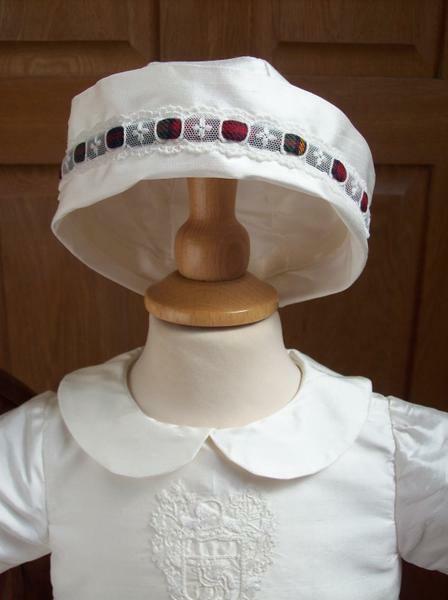 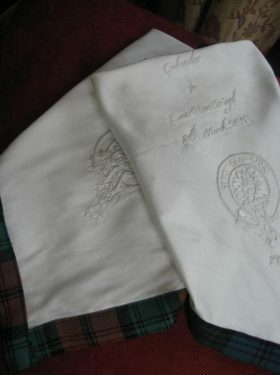 This is a delightful silk cap which has been gently decorated with lace and tartan trim. 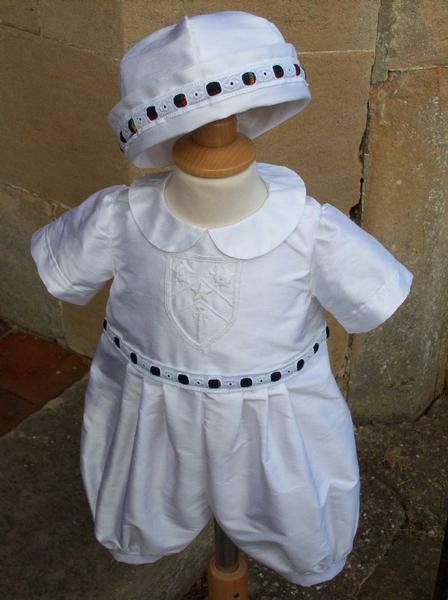 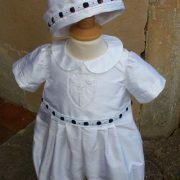 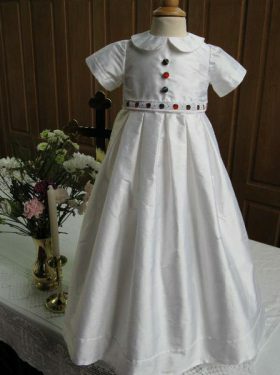 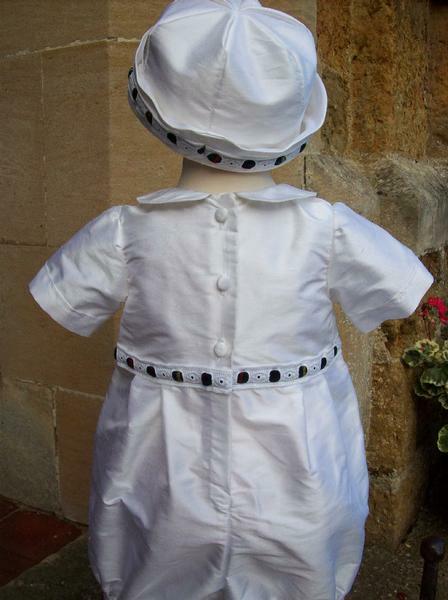 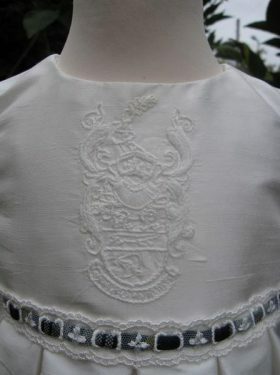 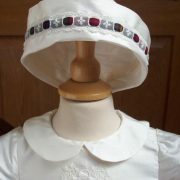 Made from white or ivory silk dupion this is the perfect addition to your christening romper. 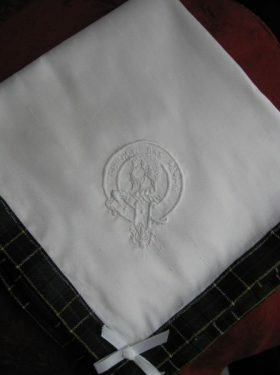 Every type of tartan can be catered for. 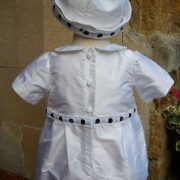 A wonderful classic style cap that suits all of the rompers available.